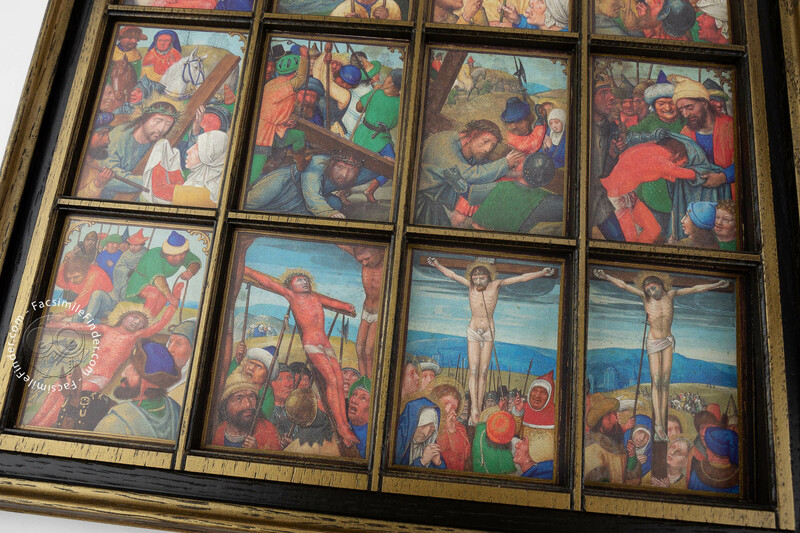 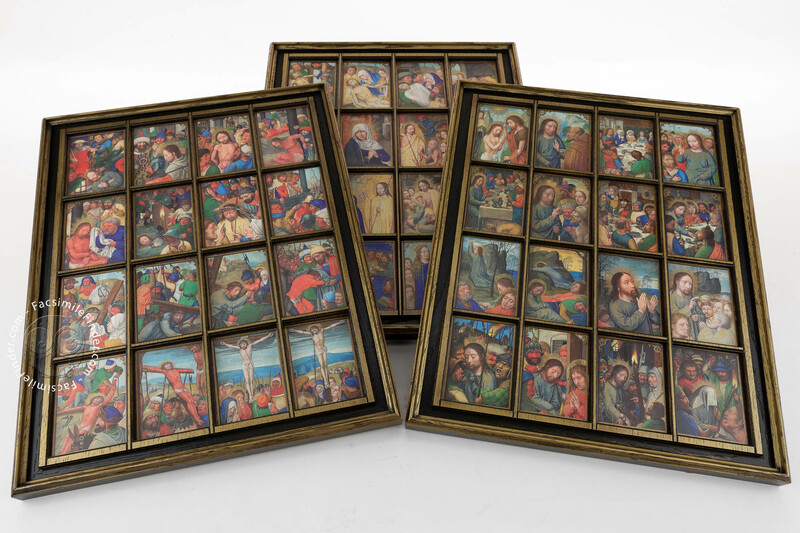 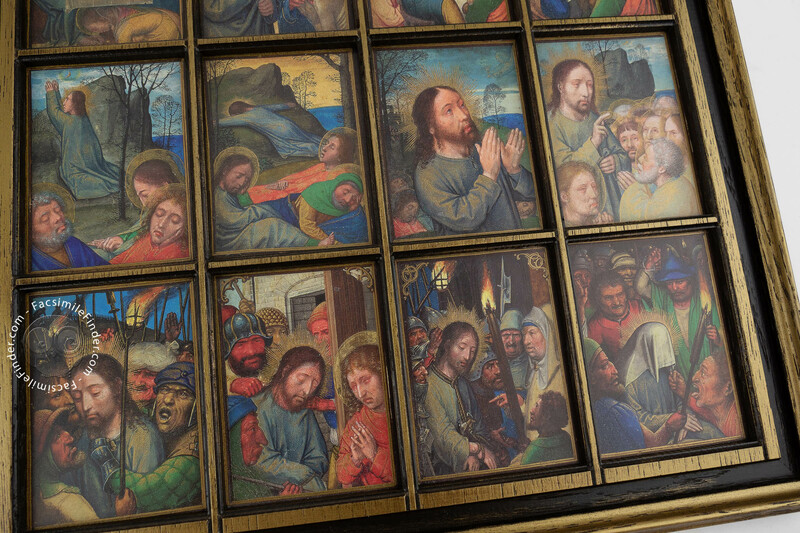 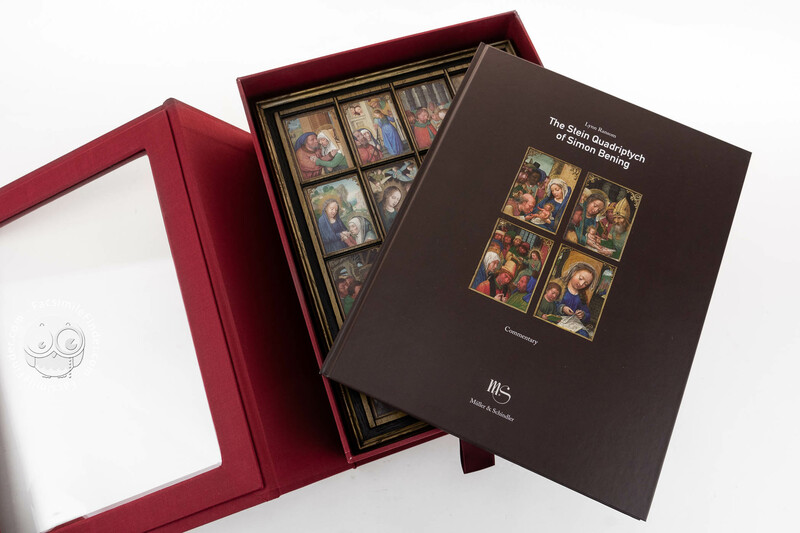 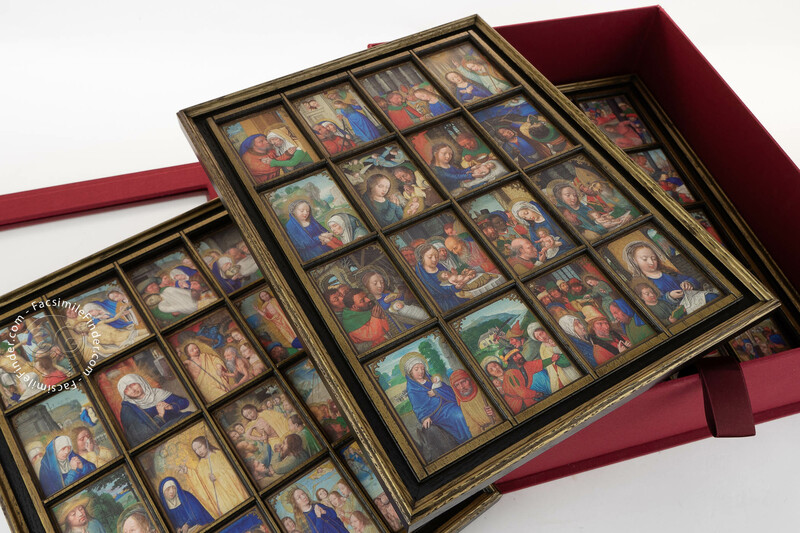 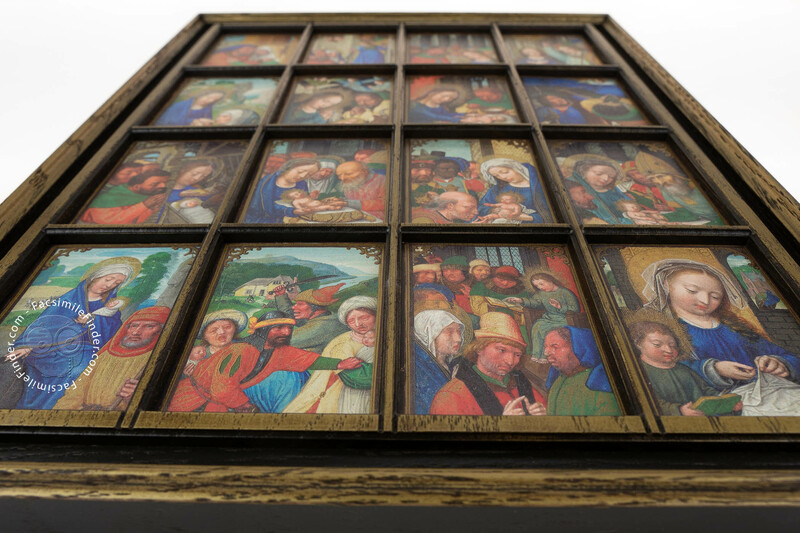 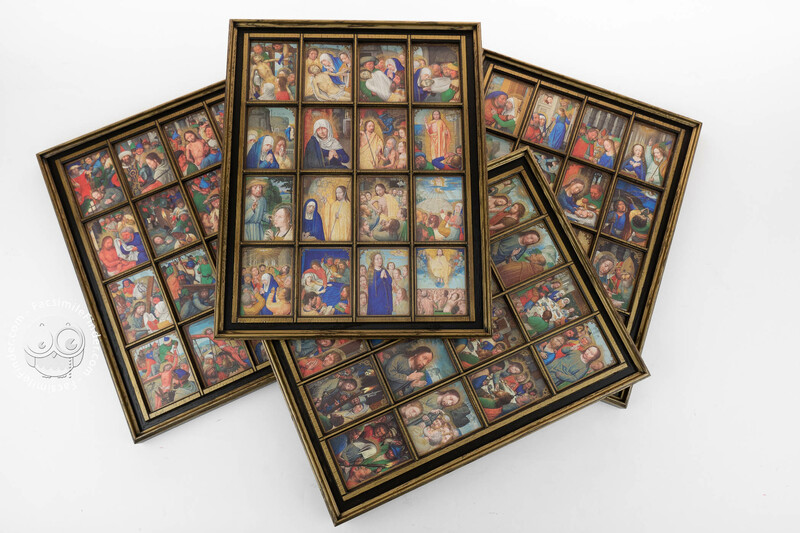 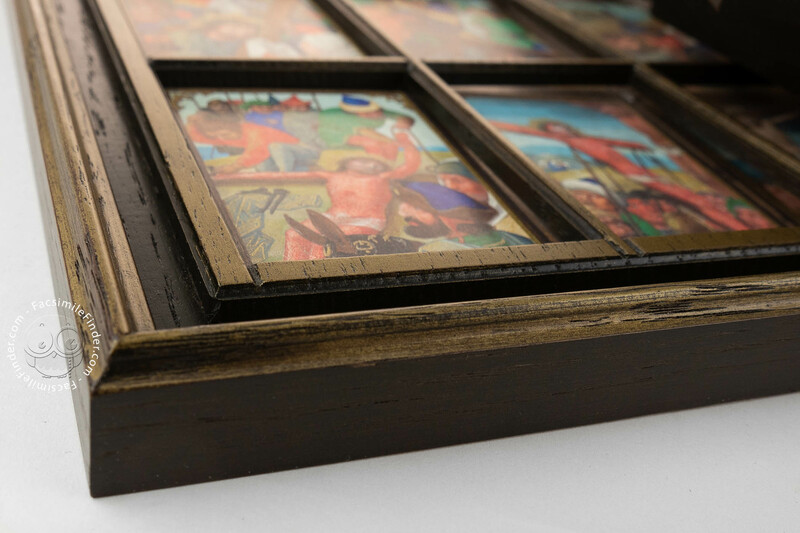 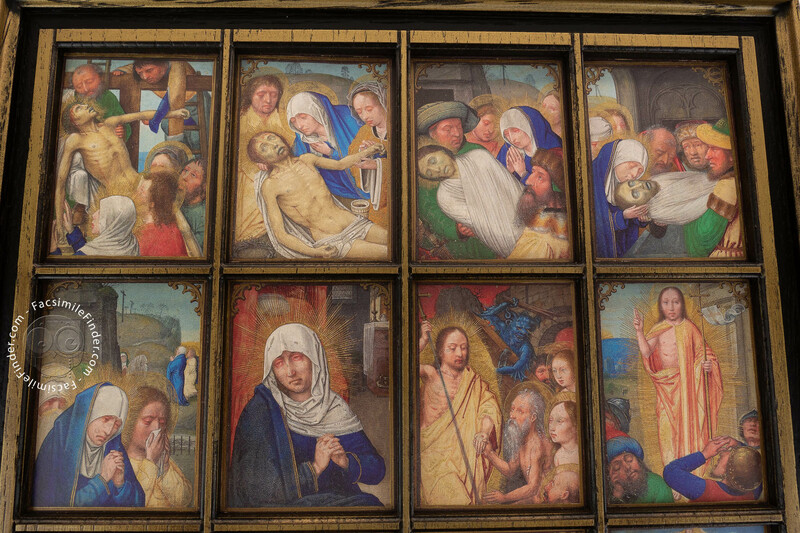 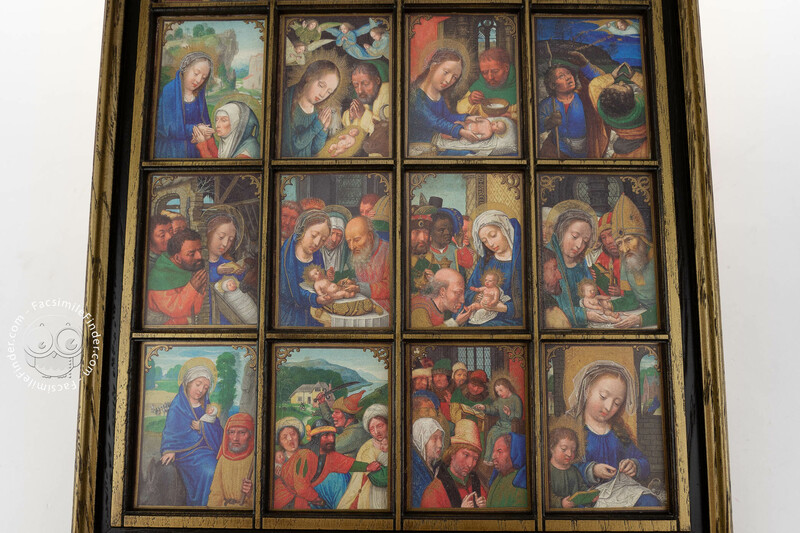 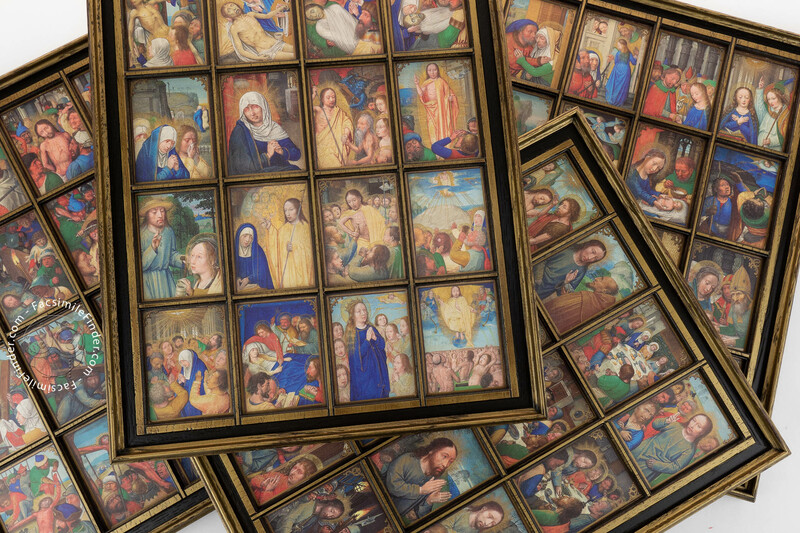 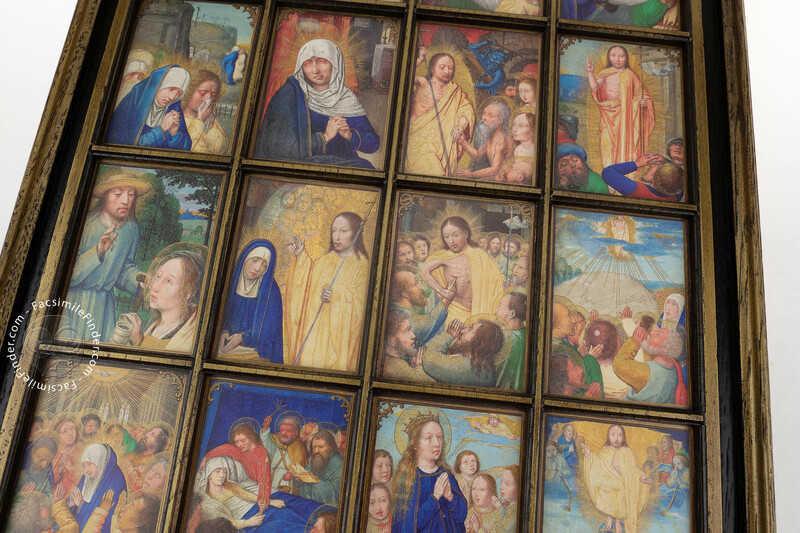 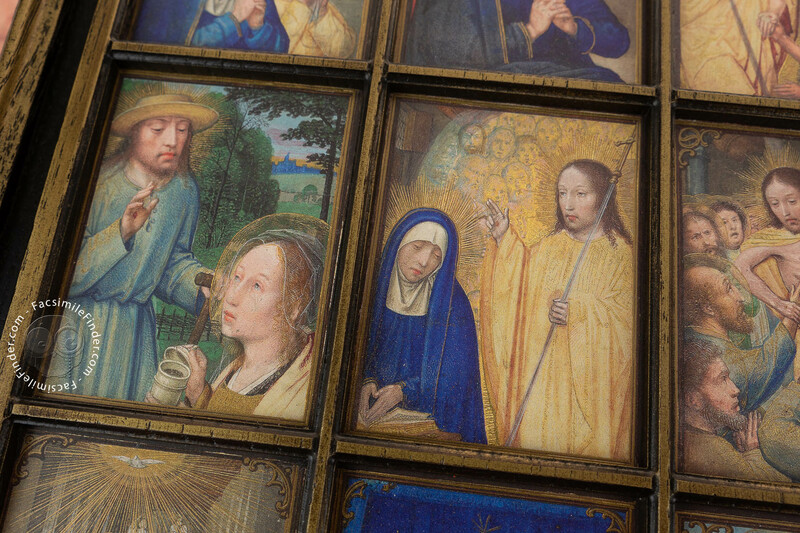 The Stein Quadriptych features sixty-four miniatures that tell the story of the lives of the Virgin and Christ. The individual miniatures, at 7.2 by 5.3 cm (211/16 x 21/16 in. 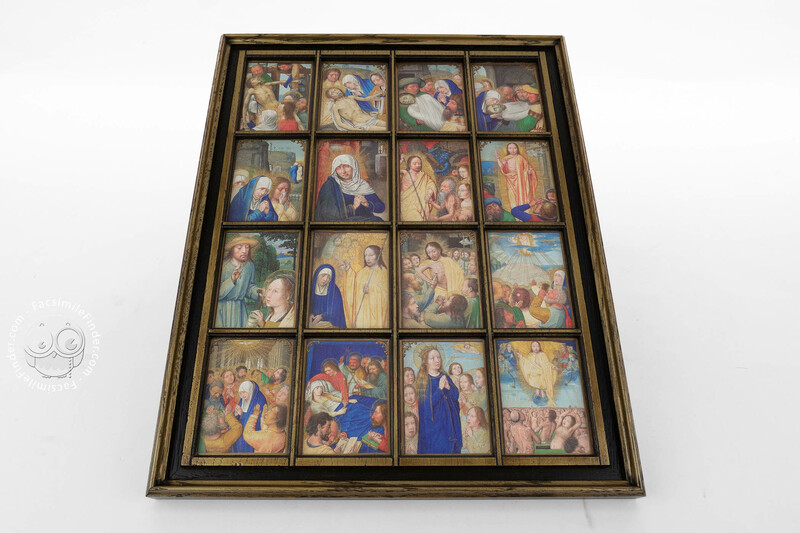 ), are organized in four panels of sixteen miniatures and have been so arranged since they were first uncovered in the late nineteenth century.Inevitably, given the unusual format of the piece, especially for a manuscript illuminator as Simon Bening, scholars have wondered whether this series was originally conceived as an altarpiece or for a book, and the debate is still open. 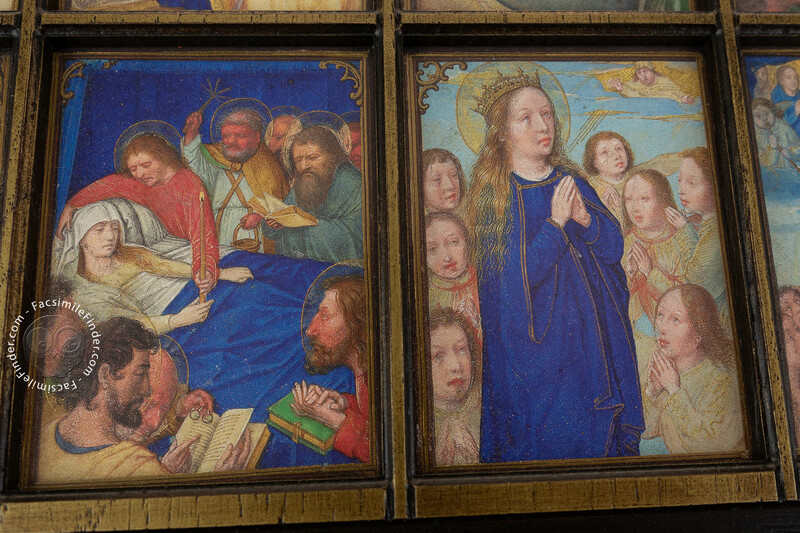 Certainly, Bening devised one of his most original artistic conceptions. 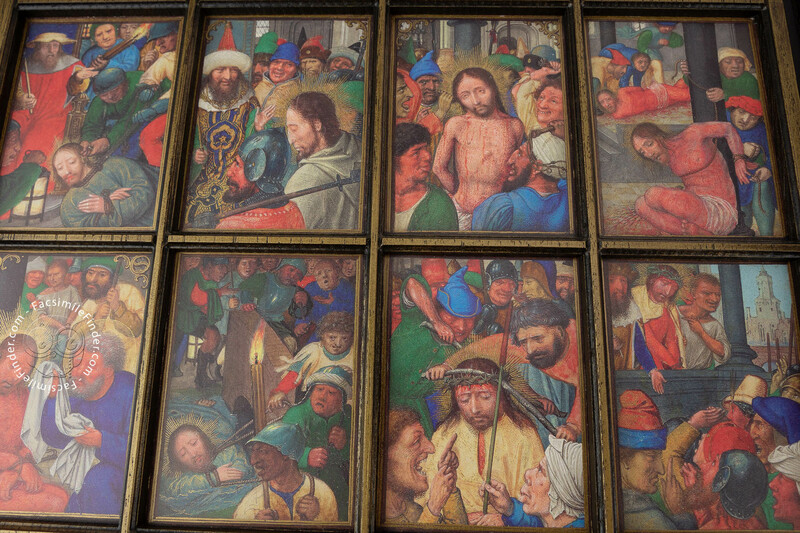 Not only did he exploit the close-up for dramatic effect, but he also heightened the immediacy of the story by knitting together successive narrative moments, sparking the sensation of minute-by-minute storytelling. 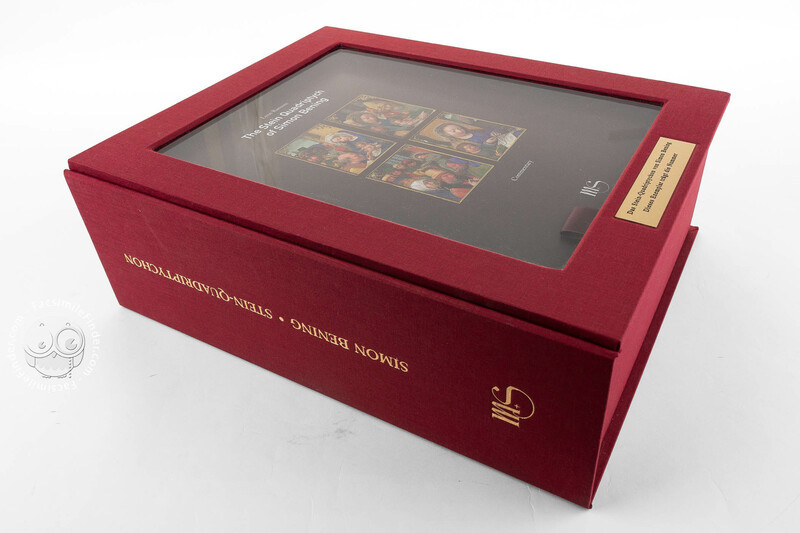 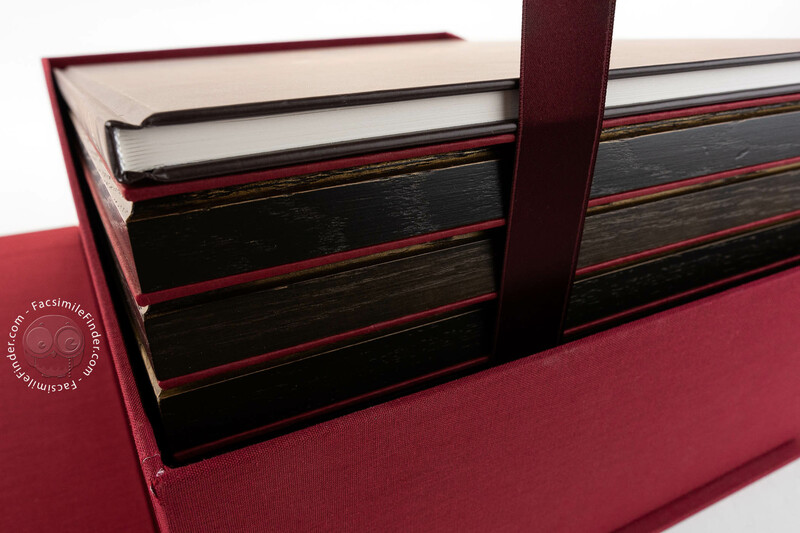 Full-size color reproduction of the entire original document, Stein Quadriptych: the facsimile attempts to replicate the look-and-feel and physical features of the original document; pages are trimmed according to the original format; the binding might not be consistent with the current document binding.